It’s an excellent, light and healthy summer snack and you can also use it as a side-dish, or a platter with white wine on a lazy summer Sunday afternoon. This is one of my favorite salads! 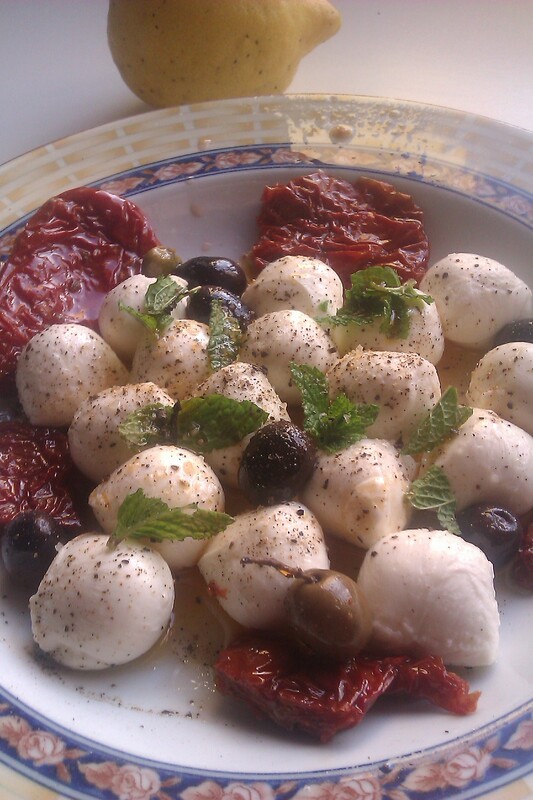 I am such a sucker for fresh mozzarella. Can’t wait for tomato season to start up again! This is my absolute favorite salad as well!